This is a sample from my Dargate book. The first step in the reproduction process...a tracing. The second step, once this tracing is approved, is a 'painting' called a 'croquis'. I had heard this word for many years in the Quilt Marketplace but had never seen it written. The croquis ...with color chips long the side. I was on a French textile tour a few years ago. Our guide was amazing and very multi-lingual. We were gathering getting ready to leave Versailles when he noticed a small Chinese group deep in discussion about something? He stepped over to them and in flawless Mandarin answered their question. Why not ask him about this word? 'Oh yes...it means cartoon or quick sketch'. (I think of a sketch/croquis costume designers do when they are trying to communicate their vision for say a particular garment for Nicole Kidman in Cold Mountain...I sold the designer yards and yards of fabric for that movie). And he knew how to spell it!! I was very impressed. I will be traveling to a wedding in Virginia Memorial Day weekend and probably not posting on Sunday. I am going two days early for appointments with the collections at Winterthur....one day with quilts, another with sample books. When we return on June 1, I am planning to post a little 'project' for all of you...having to do with definitions. The Redcoats are coming, The Redcoats are coming! Does this famous slogan bring to mind images of Paul Revere on horseback and the American Revolutionary War? There were many famous patriots from that time. One of these was John Hewson of Philadelphia. He came to America with his family shortly before the outbreak of the Revolutionary War. 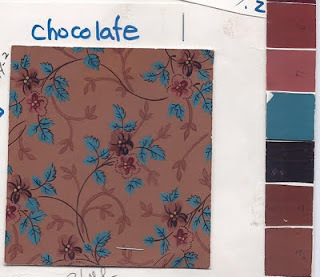 Hewson brought calico printing equipment (probably carved blocks), previous experience in textile printing in England and most importantly knowledge..of the different types of mordants, the proper mixing of thickeners for the dye pastes plus an eye for the popular European styles. He was involved in the war effort and even at one point captured by the British. After the war, Hewson and his printworks were an important part of the business community in Philadelphia. He is best known for a particular center panel he printed...a graceful urn with flowers. 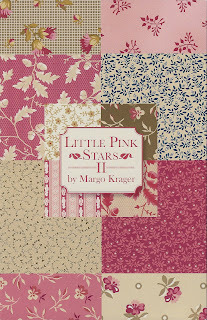 Andover Fabrics is reprinting designs from one of his coverlets later this year ( Nov/Dec 2011 delivery). See the Hewson coverlet at the bottom right of this Winterthur page . I saw the art work for the fabrics this weekend at Quilt Market in Salt Lake City. There will be the exquisite urn, the two borders and assorted birds and flowers in authentic color and scale. I ordered heavily!! 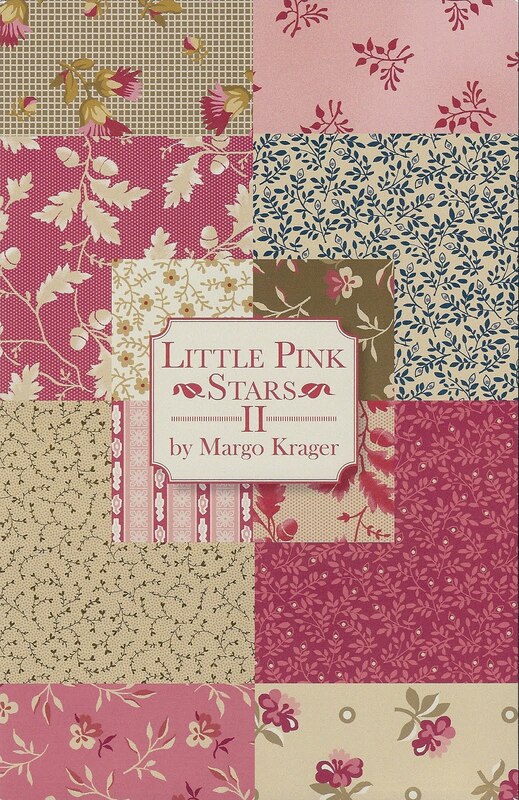 I will be introducing my second line of Little Pink Stars at Quilt Market in Salt Lake City this next week, May 13-5,2001. 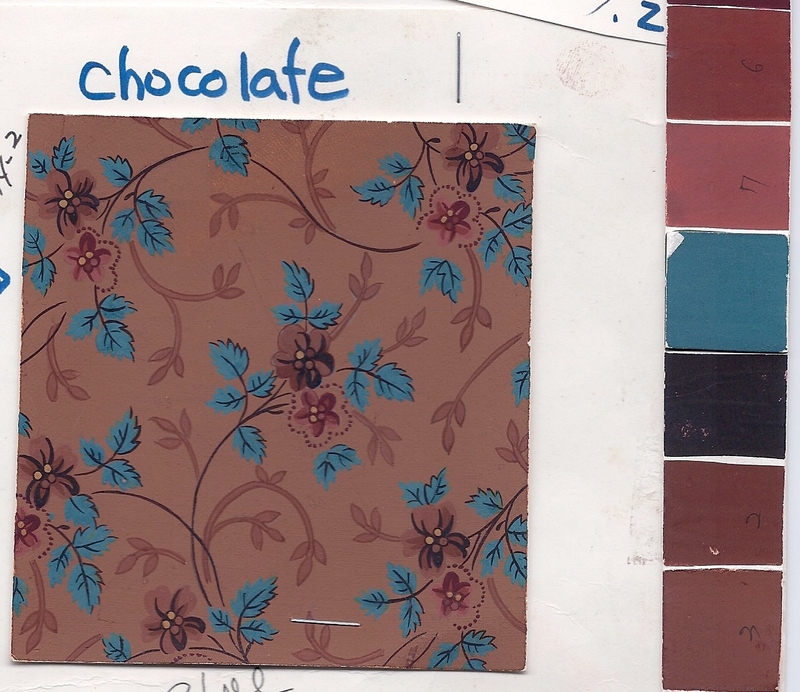 The fabrics are being printed by Newcastle Fabrics and will be available in July. The designs are once again taken from a quilt made in the late 1970s by my friend Bette Faries. 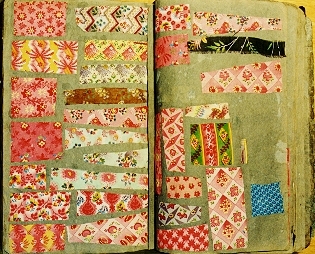 She was working with a stash of recycled double pinks, indigos and taupe/browns from 1840-1890s. 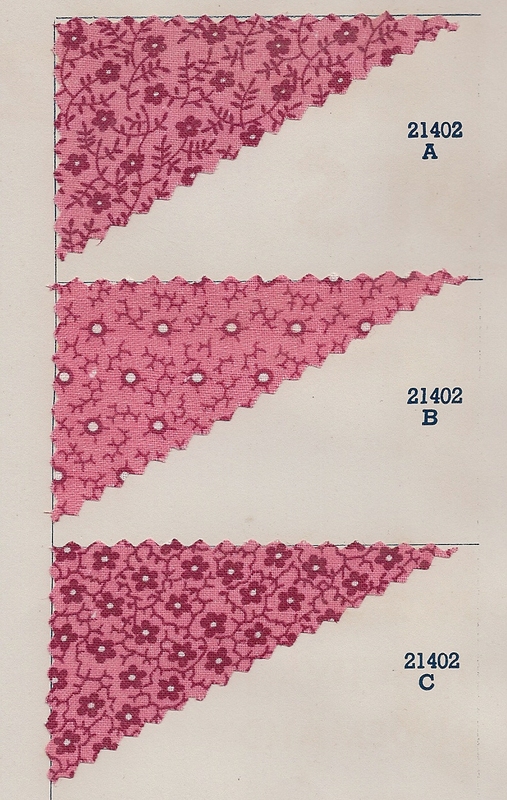 Recently I heard someone say 'Double pinks are seen in quilts from 1860-1890'. I am not sure I completely agree with that range of dates....I do think they were especially popular during that time span. Also a few weeks ago, I heard a costume historian, attired in Civil War era garb, speak about proper dress for that time period. When she got to the subject of petticoats she showed off her red flannel version. "Red flannel petticoats were considered 'healthful' along with those made from double pinks!" I have often thought there were alot of double pinks available mid 19th century....were they all used for little girl dresses? Yardage for petticoats plus dresses for little girls may explain the numerous entries for double pinks in merchant ledgers. I see early versions of double pinks in the Dargate book, c. 1830 as well as classics still be shown in a 1948 sample book I own. 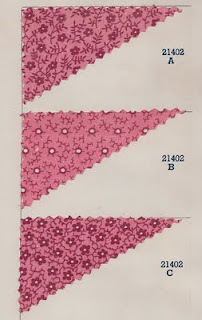 Generally I give a broader range of dates for double pinks...early 19th century through the 1940s. There were style changes during that period...but the cherry pinks were always appealing. These are samples of Delaines (cotton warp/wool weft) from Mulhouse. Printed in 1843 by Lavril. The blue flower is 1 1/2" wide, the plaid is a 2 1/2" repeat, all dress goods. I enjoyed the appraiser's class and the AQS show in Paducah last week. The drive to the airport in Nashville on Friday was delightful...sunny and 70 degrees. I landed in Bozeman in a driving blizzard around midnight!